With the success of our Supreme SP Exhaust System yielding peak gains of 24 WHP and 11 FTLBS of torque, we are proud to introduce the GReddy Focus ST Racing Downpipe. 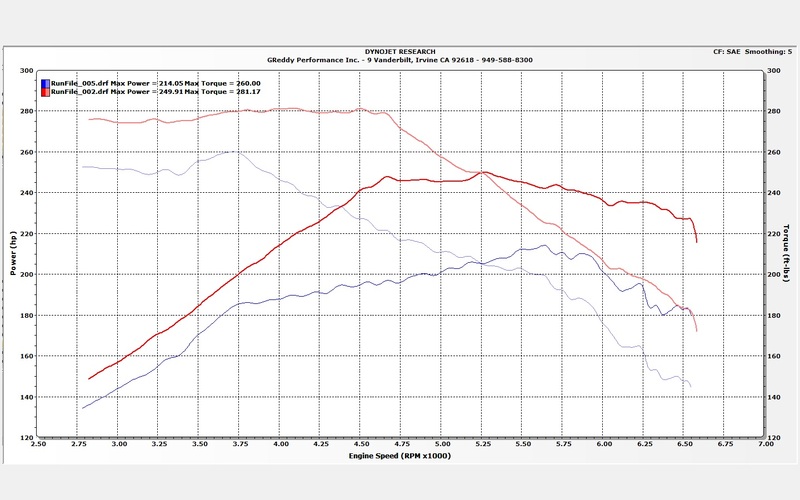 When both Supreme SP and Racing Downpipe are paired together, gains of 35.8 WHP and 21.1 FTLB of torque are obtainable on the OEM tune. More power can be made with Professional Tuning. As a courtesy to FocusSt.org and its members for all of the assistance and information, we’d like to offer you a pre-order Coupon Code for 20% off the purchase of our Focus St Downpipe directly from our ShopGreddy.com webstore. This offer is only valid for FocusSt.org members, and is limited to 10 uses. The estimated time of arrival of the Downpipe is mid-March. Please understand that we order in batches of 10 units. If you order late, you may have to wait for the next batch. If you have any questions or concerns, please call GReddy Performance at 949-588-8300 and ask for the sales department. jbeatzs31 and Unfitproduct like this. Thought the DP was scrapped? meh.. Very happy with the exhaust, Will buy one after the holidays. Is the flex section 3 or 6"? Levels catless downpipe. Injen cat back. Injen intake. Levels intercooler. Cooling mist stage 2 wmi. Mountune hot pipe and jbr meth bung cold pipe. Steeda springs on bilstein struts with steeda rear bar and end links. Will it fit the OEM catback? Sorry for the confusion, we had some internal miscommunication; but the DP is a definite go. That's a good suggestion, I will relay it to upper management. Hello Burnboy, at this time we cannot give out that information. Once we are able to release the information, we will place it in our website and do our best to reply to you. That's a very good question. Unfortunately we have not tested the down pipe on a stock vehicle. The original prototype volunteer had to sell his ST as he had an addition to his family and required a larger vehicle. 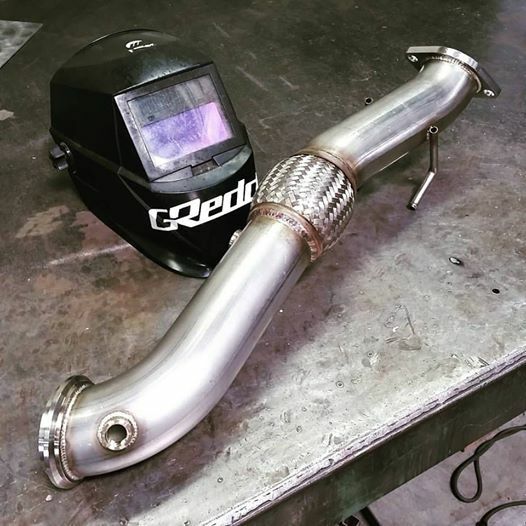 The second prototype volunteer who let us borrow their vehicle already had the GReddy Supreme SP exhaust system installed and the factory Ford exhaust system was not available. With that being said, our Supreme SP was fabricated on a 100% Stock Ford Focus ST and utilizes the factory hanger locations. Again we have not tested our Down Pipe on an ST with a stock exhaust system; but it should be compatible.